Challenging starting hole. Left side of the fairway is preferred or you may be blocked out by the trees on the right. Three bunkers guard this large green. Short par 4 with driving accuracy a must. 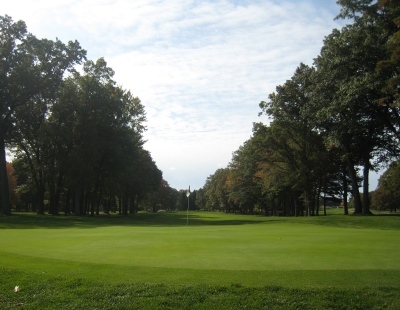 The left side is the place to be or several overhanging trees on the right will make your approach shot difficult. 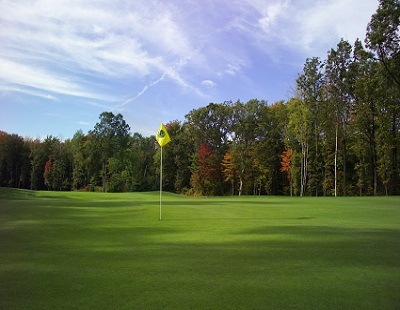 This is a smaller green with bunkers short and a fast putt if you are above the hole. A very demanding and narrow tee shot is only the first challenge. The green is well guarded by bunkers. If the pin is behind bunker on right, play to the middle of the green. Par on this hole is a great score! 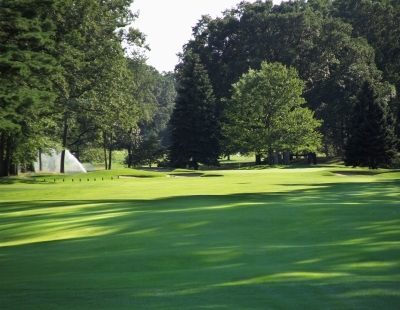 A narrow par 4 that calls for a tee shot in the center or right center of fairway. The challenging approach shot needs to be accurate as all greenside bunkering are very much in play and going long leaves a very difficult up and down. Tee shot club selection is the key to this short par 4. Having 100 yards to the green from the right side of the fairway will make this hole much easier. 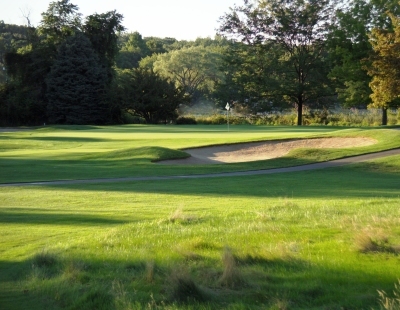 This green is small and a large bunker in the front left makes for a long bunker shot. Very reachable par 5 for the longer hitters. 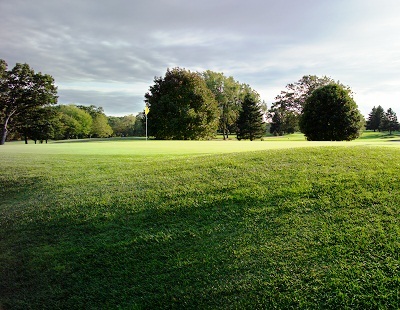 Aim right at the big tree for your tee shot. Second shot needs to be to the right as there is a large tree just short and left of the green. 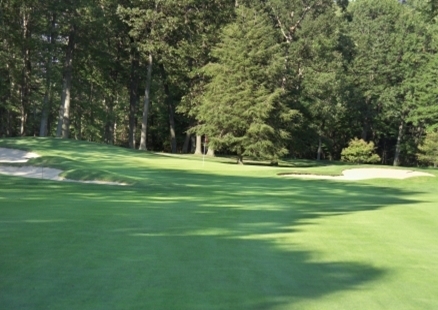 This is a long and narrow green with a large bunker guarding the right side and a small bunker guards the back. 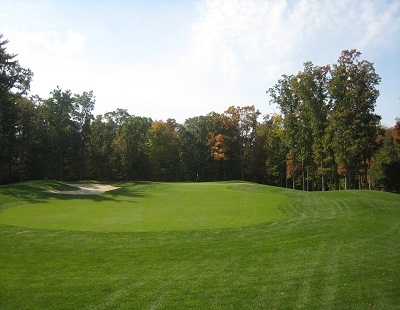 Only par 3 on the front nine plays uphill to a back to front sloping green. 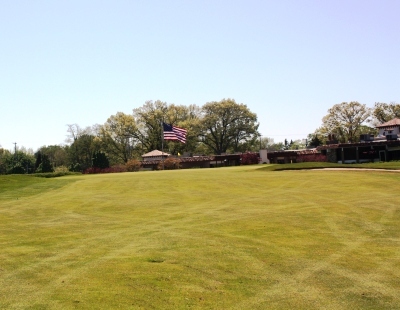 Keep tee shot short of pin as a severe downhill chip or putt awaits those who hit it long. Slight dogleg right. Fairway bunkers and tall native grasses both left and right await errant tee shots. The green is sloped from back to front and heavily guarded by greenside bunkers. Three shot par 5 back toward the clubhouse. Large landing area awaits tee shot. Second shot to be aimed at the flagpole in the distance. This hole usually is played into a prevailing wind. 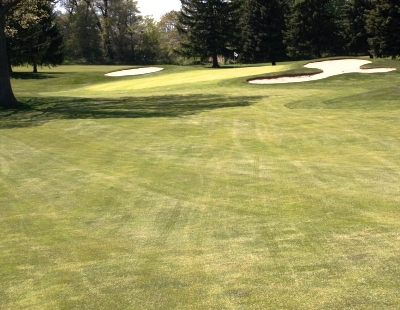 The large back to front sloped green is guarded by a very deep bunker on the right. Dogleg left Par 5. This is one tough driving hole! Left is OB & Bailing out to the right brings two fairway bunkers into play. Small water hazard and greenside bunkers guard this undulated green. Great chance at birdie with good tee shot. Difficult par 3 that demands an accurate shot. A bunker is short and right of the green and deep grass bunkers left. The green is only partially visible from the teeing ground. Picturesque dogleg left par 4. 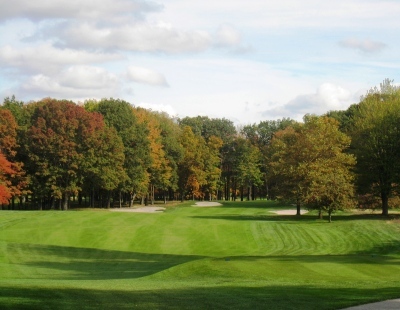 Tee shots that find the right rough will have to contend with the large tree. Green is protected by the greenside bunkers on the left. This is a demanding hole. Par is a great score here. Long and tough par 3. A very narrow opening to the front of the green demands a well executed shot. Shots left or right will demand your best chip or bunker shot to obtain par. The #1 handicap hole on the course. 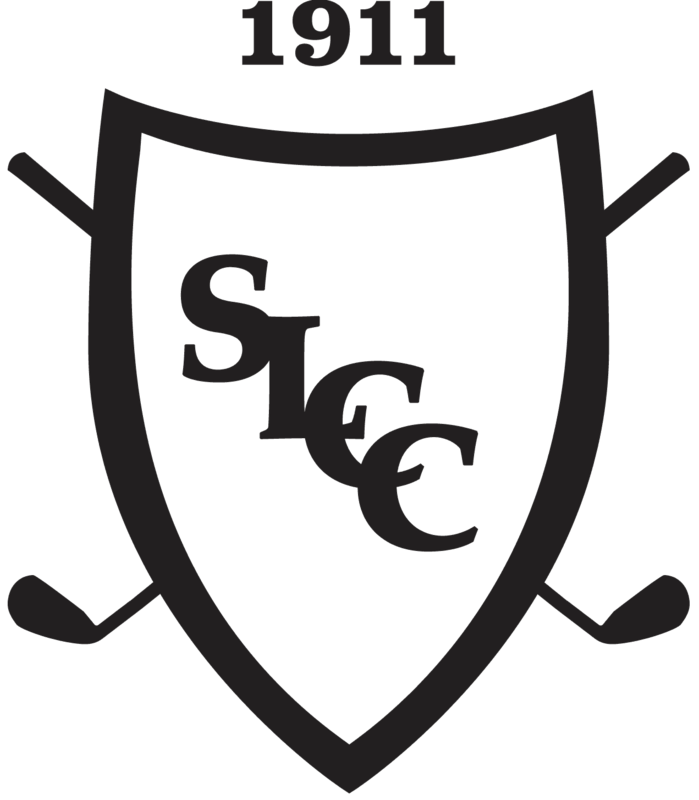 The slight dogleg left ends with the most severe green complex at SLCC. 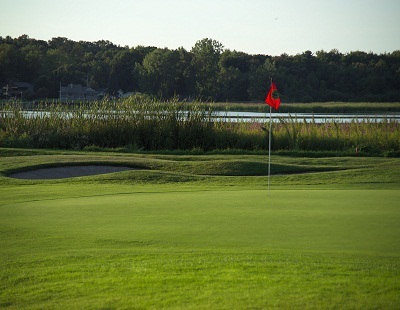 It is not recommended to be past the pin wherever it is or a very difficult chip or putt will await. 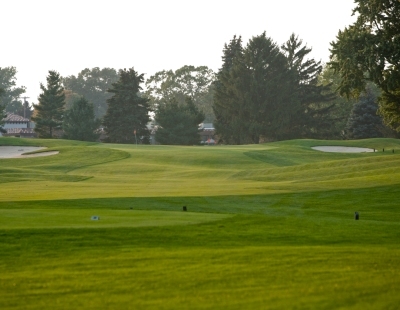 Dogleg right that calls for a fade off of the tee and a draw into the green. 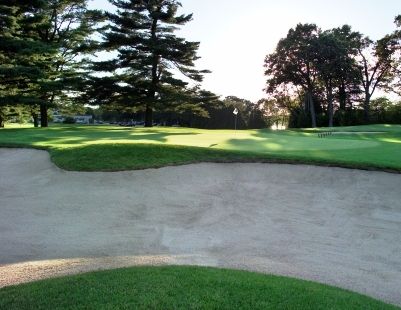 The right fairway bunker can be carried by long hitters. 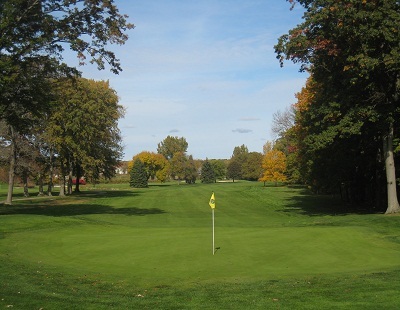 Large green accepts both long iron and short iron approaches. This is a good par 3. Large Bunker guards the front left of this large green along with a second one back right. Club selection is the key here. 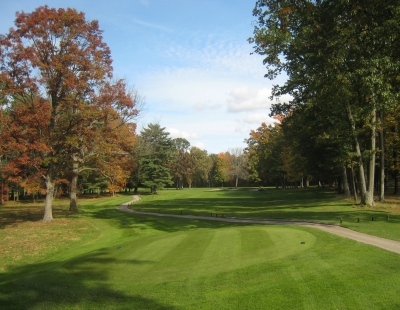 Long Par 5 that starts with a narrow tee shot to a tree lined hole. There is a fairway bunker on the right side of the fairway about 250 yards from the green and a second one about 100 yards from the green on the left. There are three greenside bunkers that guard this green from a rolling approach shot. 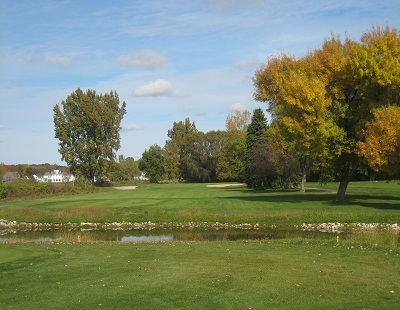 A challenging finishing hole. 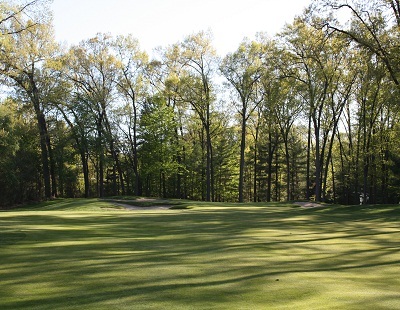 The tee shot favors a slight fade to maneuver around trees that overhang the right side. Beware of the small pond left. 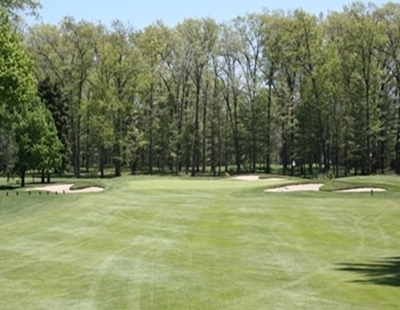 It’s then uphill to a large and undulating two-tier green that has bunkers on both the right and left side of the green.